Now that summer is here, I've been catching up on my favorite television shows. 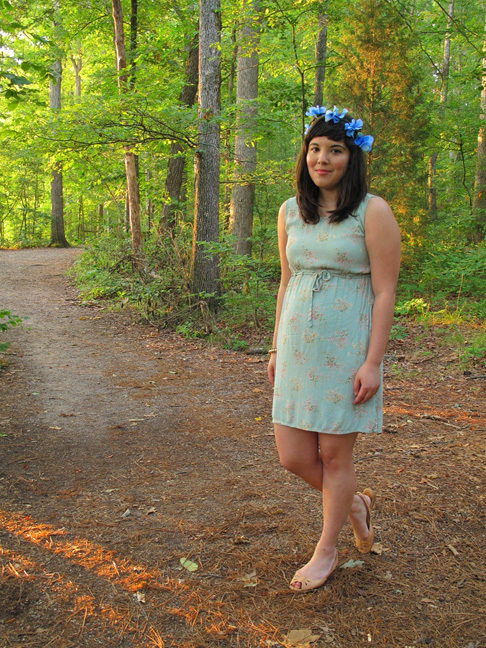 "Game of Thrones" has provided a lot of fodder for my other blog this season, and I celebrated its finale last week by making a floral wreath inspired by the character Lyanna Stark. Because her character died before the events of the show's timeline, she hasn't appeared, but her actions in the overall book series have pushed the narrative forward. In the story about the mysterious "knight of the laughing tree," Lyanna accepts a wreath of blue roses. 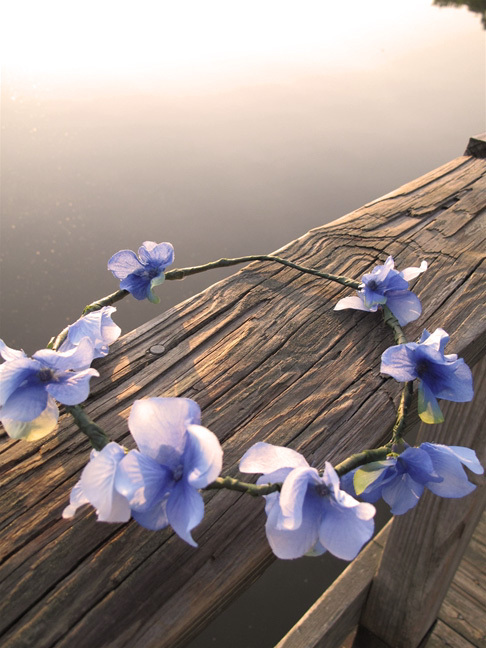 I made mine out of blue hydrangeas because the small flowers are easier to bend into floral wire. What books or television shows are you enjoying right now? 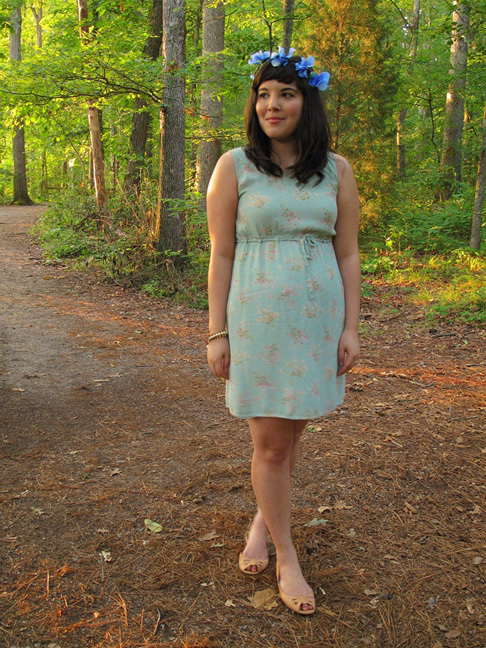 dress: giorgio kauten, vintage, thrifted | shoes: born crown | floral crown: diy (tutorial here). All photos and illustrations were made by me unless otherwise noted. Please contact me before using. Giveaway - Win a $50 gift card to Shabby Apple! Sidewalk Chic by JoAnn A. is licensed under a Creative Commons Attribution-NonCommercial-ShareAlike 3.0 Unported License. Based on a work at www.sidewalkchic.com.